The third edge-of-your-seat thriller in the Georgina McKenzie series. Fans of Stieg Larsson and Jo Nesbo won’t be able to put it down! Europe is in the grip of an extreme Arctic blast and at the mercy of a killer, who leaves no trace. His weapons of choice are razor-sharp icicles. This is Jack Frost. Now a fully qualified criminologist, Georgina McKenzie is called upon by the Dutch police to profile this cunning and brutal murderer. Are they looking for a hit man or a frenzied serial-killer? Could there be a link to a cold missing persons’ case that George had worked with Chief Inspector Paul van den Bergen – two abducted toddlers he could never quite give up on? The hunt for Jack Frost sparks a dangerous, heart-rending journey through the toughest neighbourhoods in Europe, where refugees and Roma gypsies scratch a living on the edge of society. Walking into the dark, violent world of a trans-national trafficking ring, can George outrun death to shed light on two terrible mysteries? 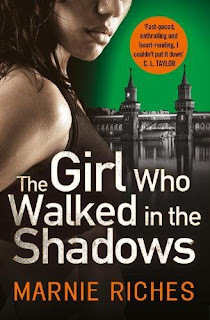 The Girl Who Walked in the Shadows is book 3 in the George McKenzie series and I've been putting off reading it as I wanted to stretch out the series. I thought this was the final instalment but I'm delighted to see that George McKenzie is returning in 2018 in The Girl Who Had No Fear. Thinking this was the end of the series, I thought this was an amazing send-off for this gritty, edgy heroine we have come to know and love. George returns to join forces with Dutch detective Paul Van den Bergen when a killer known as Jack Frost starts targeting people across Europe. With perhaps the BEST murder weapon EVER, Jack Frost's victims appear to be random when in fact they are selected as chillingly as the weapon he uses. After the events of The Girl Who Broke The Rules, I thought Van den Bergen would have finally accepted his feelings for George. He might have done, had his daughter not announced her pregnancy. Paul is about to become a grandfather and George is his daughter's age so you could feel the age gap rearing its head on every page as if it was a character in the story itself. Age is just a number but Van den Bergen is one stubborn SOB; as stubborn as he is, George is nothing if not persistent. I felt as if I got to know George's family more in this book and I loved how they all packed up and went with her to Amsterdam. As much as I dislike George's mother, Letitia, I did feel sorry for her at times but she has finally got the attention she craves, just not in the way she wants it. I really love this series; it's gritty, punchy, daring and fast-paced with a heroine who's tougher than old boots yet as comfortable in her own skin as an old pair of slippers. I think this would make a brilliant TV series as a type of scandi-style police-procedural drama we often see on TV these days. 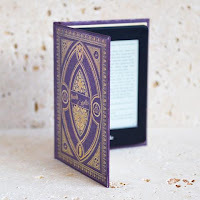 If we can't bring George to the big (or small) screen, you can bring her onto your kindle by clicking here and relive her jaw-dropping escapades over and over again. These books are going on my must-read-again series list.